As the publications coordinator for the DAR Magazine Office, I am excited to write about our current issue of American Spirit. Putting together the November/December 2016 issue of American Spirit magazine was especially rewarding because we had the pleasure of working with the Fox River Valley Chapter of Algonquin, Ill., the grand prize winner of the 2015 Spread the American Spirit subscription contest. Chapter members served as guest editors for one issue of American Spirit, and their editorial duties included suggesting a feature article and selecting the cover image. They decided on the Fresh-Air Fund as their feature story and voted on the beautiful vintage Santa Claus image that graces the cover. I was thrilled at how well their article turned out. The Fresh-Air Movement of the mid-to-late 1800s allowed children to escape the stifling, smog-ridden atmosphere of post-industrial city life for a short stay in the country. The idea was that even a small break from pollution would improve children’s health and strengthen their immune systems, protecting them from common infectious diseases of the time. This theme hits close to home for the Fox River Valley Chapter, as they are currently researching how to help preserve Camp Algonquin, one remaining Fresh-Air Fund camp near the Fox River. 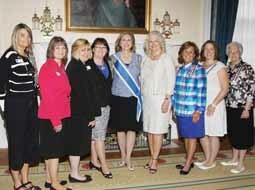 You can read more about their efforts in “A Breath of Fresh Air” on page 18 of this issue. 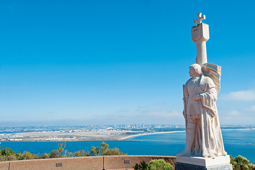 The November/December issue also gives a personal account of one woman’s attempt at hearth cooking; discusses Captain Cook’s exploration of Alaska; features Andrew Pickens, also known as the “Wizard Owl”; and takes readers on an adventure to explore San Diego, the birthplace of California. As a special holiday treat, we delve into the Christmas spirit by outlining the history of Santa Claus in America. Santa wasn’t always a Christmas staple in this country, but you’ll have to pick up this issue to learn more! 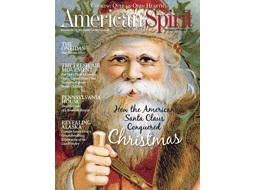 Speaking of the Christmas spirit—subscriptions to American Spirit make wonderful holiday gift options for those of us with increasingly busy schedules throughout the season. Luckily, just spending a few moments online at www.dar.org/subscribe, or calling our toll-free number at 1 (866) 327‒6242, can easily whittle down your shopping list. A full year of American Spirit’s thoughtfully written and beautifully illustrated articles for only $18 is a steal. Consider sharing the American Spirit, our award-winning magazine with your loved ones, fellow Daughters or anyone interested in early American history, preservation and genealogy. Without giving too much away, the 2017 editorial calendar is full of more fascinating topics that I’m really excited about: the hidden world of archives; calligraphy and handwriting; colonial food staples and desserts; historic homes and articles focusing on preservation; Patriots; strong women—the list goes on and on. Thank you for reading along with us and I hope you’re just as excited for our upcoming issues as I am; we truly appreciate your support. Would your chapter like to be guest editors for a future issue of American Spirit? There is still time to qualify and win the 2016 Spread the American Spirit contest! Any new, renewal and gift subscription orders received in the DAR Magazine Office by December 31, 2016, will contribute to your chapter’s subscription percentage ratio. For more information, visit www.dar.org/members/darmagazine.